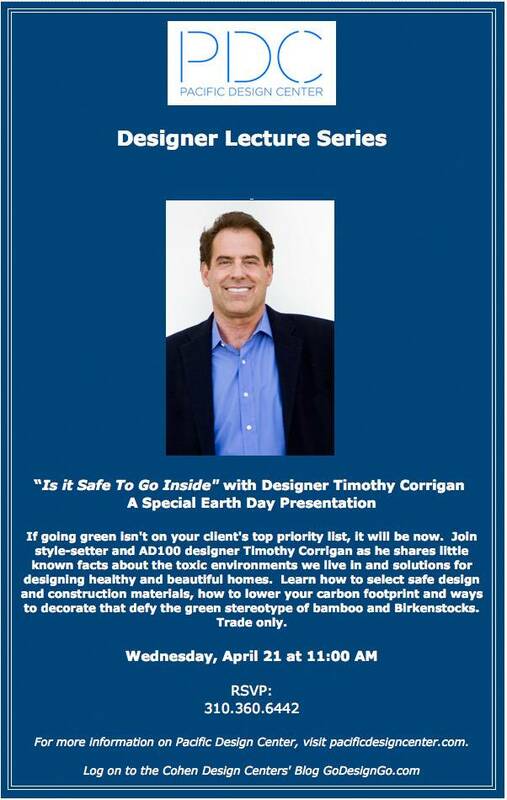 Today I gave a presentation at the Pacific Design Center in Los Angeles in honor of Earth Day. The topic was: "Is It Safe To Go Inside?" The PDC's Ellen Rubin and yours truly. Adding some humor and animations to our presentations helps keep the audience engaged. Hopefully everyone left better informed, armed with solutions and ready to share what they learned with their clients, families and friends. We can all make a difference in protecting our earth and loved ones by the choices we make in our very own homes.